Indonesian citizen. Appointed as President Commissioner and Independent Commissioner of the Company since March 2016 pursuant to the resolution of the shareholders of the Company as stipulated under Deed No. 34 dated March 17, 2016 drawn up before Jose Dima Satria, SH., M.Kn. Other than serving as the President Commissioner & Independent Commissioner of the Company, she is also serving as the Chairman of Audit Committee of the Company. She is also currently a Director of Wahid Institute since 2003. 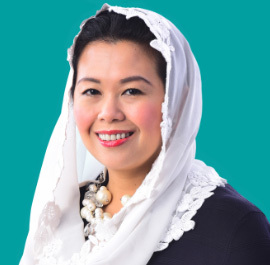 Previously she served as a Special Staff of President Susilo Bambang Yudhoyono in the field of political communication in 2006, Personal Staff at the Office of President Abdurrahman Wahid in 1999 and Assistant Correspondent to The Sydney Morning Herald and the Age Melbourne in 1997. She has obtained her Master of Public Administration degree from Harvard University in 2003 and a Bachelor degree on Visual Communication from Trisakti University in 1997. 4. "YouTube Summit for Social Change", in London, in September 2016, organized by Google. Indonesian citizen. Appointed as Commissioner of the Company since March 2016 in accordance with the resolution of the shareholders of the Company as stipulated under Deed No. 34 dated March 17, 2016 drawn up before Jose Dima Satria, SH., M.Kn. He is also a Director of Northstar Group since 2003. 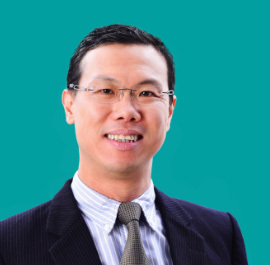 Previously, he served as Senior Vice President of Pacific Century Group from 2000 to 2003, and Financial Analyst Associate at Goldman Sachs & Co from 1997 to 2000. He graduated with a Bachelor of Science degree in Industrial Engineering from Cornell University in 1997. Indonesian citizen. Appointed as the President Director of the Company since March 2016, who is in charge of Site and Store Development, Merchandising, Marketing, IT, Supply Chain, Human Resources, Operation and Internal Audit sectors. Prior to her appointment as the President Director of the Company, she also served various strategic positions in Guardian as Operational Director (2015), Brand Director (2012-2015), Senior Operational Manager (2010-2012) and Business Unit Manager (2004-2010). She graduated with a Bachelor degree in Pharmacy from Pancasila University in 1994 and received her pharmacist qualification in 1995. Indonesian citizen. Appointed as the Independent Director and Corporate Secretary of the Company since March 2016. He was in charge of the finance and accounting functions before he moved on to oversee the business development function of the Company in March 2017. In his additional role as Corporate Secretary, he has been providing advice to the Board of Directors and the Board of Commissioners relating to compliance with the prevailing regulations of the relevant Indonesian capital markets, and the implementation of good corporate governance practices. 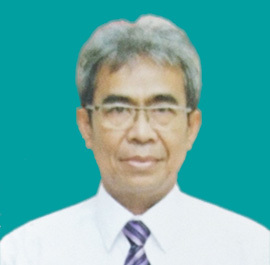 Prior to his appointment as the Independent Director and Corporate Secretary of the Company, he served in other positions, including as Financial Management Analyst in Futurum Corfinan (2010-2015), Finance Controller in PT Baker Hughes Indonesia (Baker Oil Tools) (2005-2010), Manager in KAP Prasetio, Sarwoko & Sandjaja (2002-2005) and Assistant Manager in KAP Prasetio, Utomo & Co (Andersen Indonesia) and Andersen (Sydney office, Australia) (1995-2002). 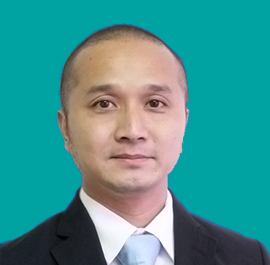 He is a Chartered Accountant (Indonesia) and Certified Public Accountant (Indonesia) holder. 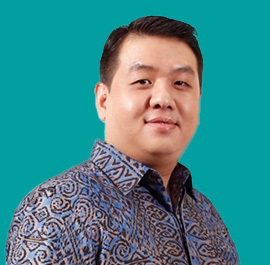 He graduated with a Master of Science degree in Management (corporate finance concentration) from the University of Indonesia in 2010 and a Bachelor of Economics degree from Trisakti University in 1994. Indonesian citizen. Mariawati joined the Company in January 2017 and was appointed as a Director of the Company on 10 March 2017. She is in charge of the finance and accounting sectors. She started her career at public accounting firms Deloitte Touche and PricewaterhouseCoopers. 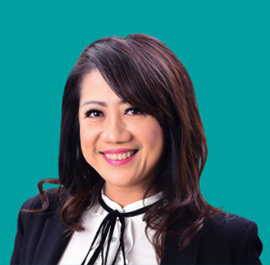 She has over 19 years of experience in financial and accounting management of companies, 11 years of such experience was gained from retail companies such as the Carrefour group and PT Mitra Adiperkasa group. 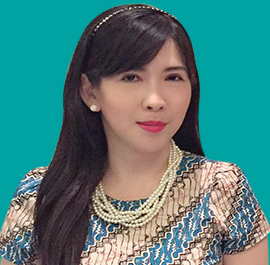 She received her Accounting Master Degree from University of Indonesia in 2000 and Bachelor Degree of Accounting from Parahyangan Catholic University in 1998. Indonesian citizen. Appointed as the Audit Committee Member of the Company since March 2016. In addition to serving as the Audit Committee Member of the Company. He also serves as a Partner at PKF Indonesia, Vice Chairman at NBP Capital, a member of the Financial Accounting Standards Board of the Indonesian Institute of Accountants (“IAI”), member of Audit Committees at PT BFI Finance Indonesia Tbk. and PT Intiland Development Tbk. He served in other positions, including as Audit Committee Member of PT BFI Finance Indonesia, Tbk. (2015-present), Audit Committee Member of PT Intiland Development, Tbk. (2013-present), Partner in KAP Paul Hadiwinata, Hidajat, Arsono, Ade Fatma & Partners (member of PKF International Limited) (2013-present). 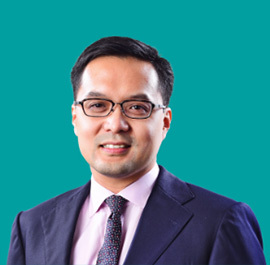 Prior to his appointment as the Audit Committee Member of the Company, he has served in other positions, including as Partner in KAP Tanubrata Susanto Fami & Partners (member of BDO International Limited) (2008-2013), and Supervisor in KAP Armen Budiman & Abubakar (member of GMN International (2004-2008). He graduated with a Master of Accountancy from Kwik Kian Gie School of Business in 2008 and Bachelor of Accountancy from Kwik Kian Gie School of Business in 2005. Indonesian citizen. Appointed as the Audit Committee Member of the Company since March 2016. In addition to serving as the Audit Committee Member of the Company, he also serves in other positions, including as Director of Academic, Research, and Development LPFA (2008-present), Widyaiswara Madya – Pusdiklatwas BPKP (2008-present). Prior to his appointment as the Audit Committee Member of the Company, he served in other positions, including as Audit Committee Member of PT Delta Dunia Makmur, Tbk. (2013), Audit Supervisor over 16 BBKU in BPPN (1998-2007), Head of Investigation Department of BPKP (1998-2007) and Head of Audit of Bank BNI (2004-2006). He graduated with a Master of Management from University of Indonesia in 2011 and a Bachelor in Accounting from Sekolah Tinggi Akuntansi Negara (STAN) in 1988.